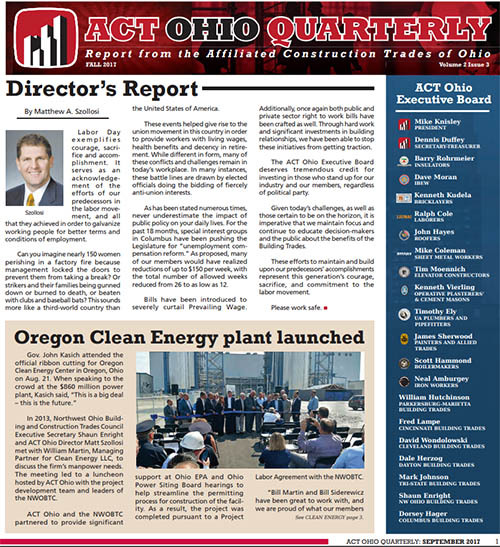 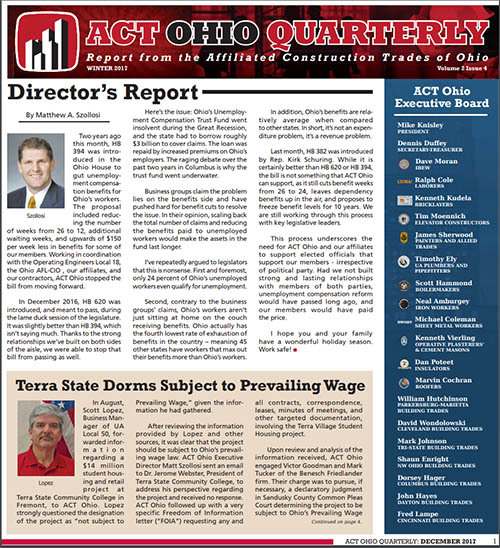 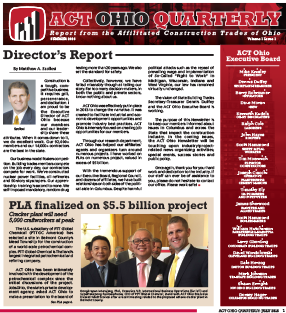 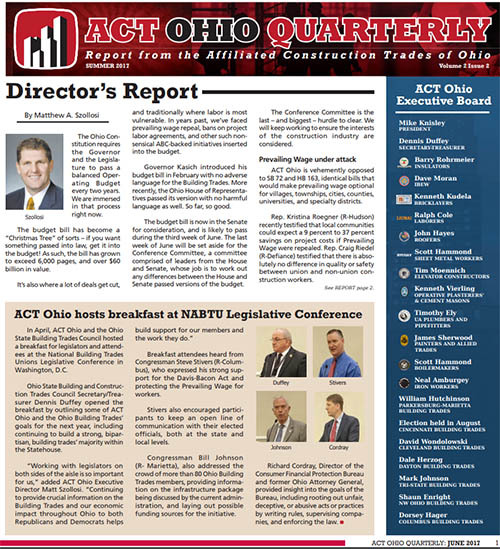 The ACT Ohio Quarterly newsletter highlights state and local labor issues throughout Ohio. 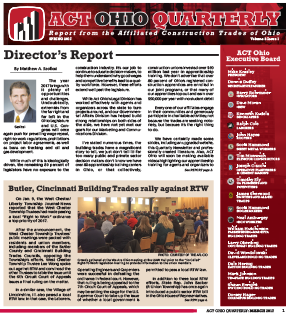 Each issue includes a legislative update from Executive Director Matt Szollosi, updating affiliate members in issues affecting Ohio’s Building Trades. 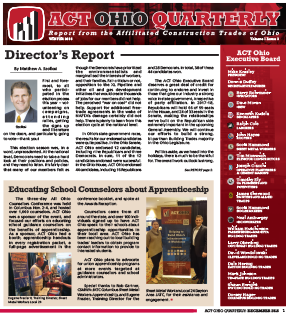 Rob Dorans, ACT Ohio’s Legal Counsel, also provides important details on research his department has completed, training opportunities, and cases that might affect the skilled craftsmen and women in the construction industry. 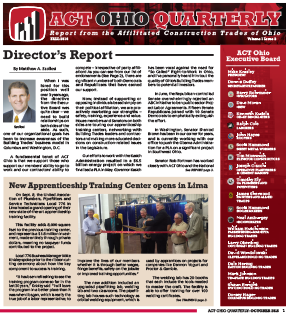 The newsletter also features local Building Trades helping their community. 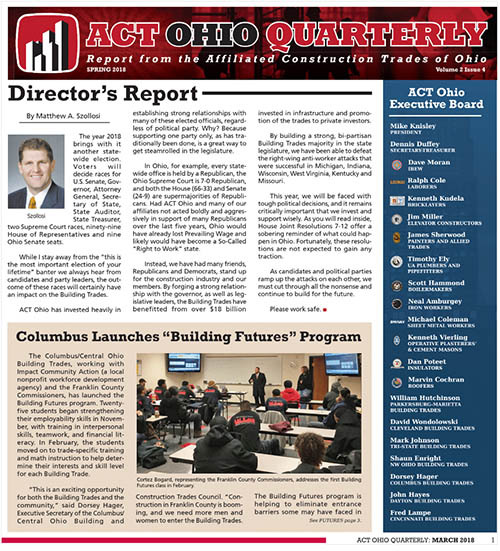 From volunteer events to fundraising for local charities, the skilled journeymen and women and apprentices of the Building Trades are continually building a better community.